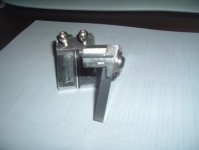 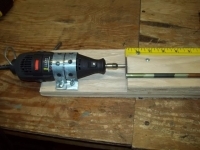 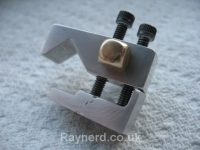 Homemade adaptor for drilling angled holes in a rifle brake. 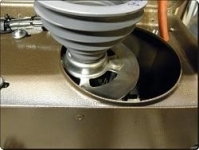 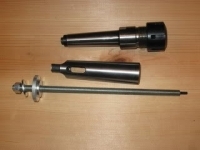 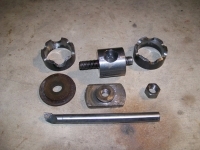 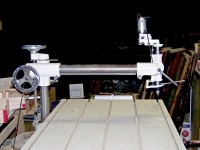 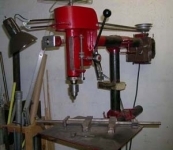 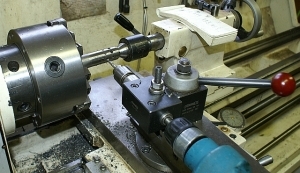 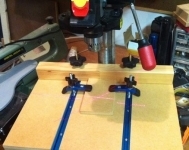 Utilizes a drill spindle running on two bearings that is clamped to a lathe's boring bar holder. 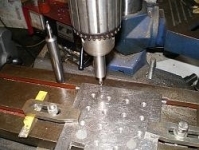 A separate hand drill turns the spindle to make the required angled holes. 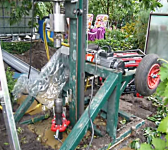 Love innovative setups like these. 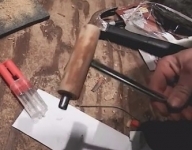 Making do with what you have, instead of just spending money.